Aloe Vera is often referred to as miraculous plant because of its numerous health benefits. Traditionally, Aloe Vera juice is known to have alkaline nature which helps maintain pH balance. Moreover, it also helps in keeping the body hydrated, supports digestion, liver functions, pancreas and clear and healthy skin. 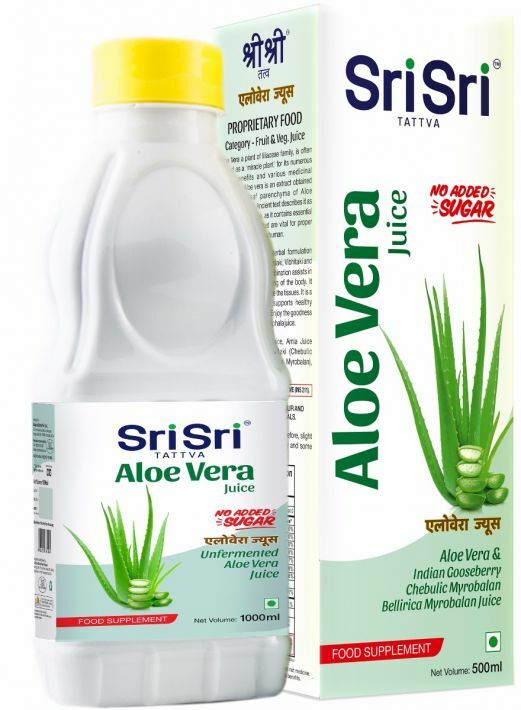 Sri Sri Tattva Aloe Vera Juice is made using high-quality Aloe Vera, maintaining the highest hygiene and safety standards. So, enjoy Sri Sri Aloe Vera Juice and bring home good health and wellness. Aloe Vera juice is known to enhance the overall immunity of the body, making it a must-have in your daily diet.